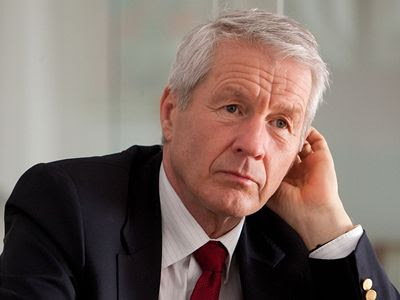 KIEV, Ukraine -- Secretary General of the Council of Europe Thorbjorn Jagland has said he is concerned about detention conditions and ill treatment by police in Ukraine, as well as the health of former Ukrainian Prime Minister Yulia Tymoshenko. Interfax-Ukraine learned from the Council of Europe on Monday that he announced this at a meeting of the Council of Europe's Committee for the Prevention of Torture and Inhuman or Degrading Treatment or Punishment (CPT). "These preliminary observations identify a number of shortcomings regarding detention conditions in Ukraine, and I trust the authorities will take the appropriate measures without delay. I'm also particularly concerned about Ms Yulia Tymoshenko's deteriorating state of health," Jagland said. He noted that Tymoshenko's application to the European Court of Human Rights concerning her detention was being examined as a matter of priority by the court. "I have noted statements by high Ukrainian authorities that Ukraine will surely implement the court's decision. In the meantime, I would underline that it is the responsibility of the Ukrainian authorities to ensure that Ms Tymoshenko is treated appropriately and in accordance with Ukraine's commitments to the Council of Europe," Jagland said. The CPT delegation examined the healthcare being provided to certain persons held at the Kiev pre-trial detention center at the time of the visit, including former Acting Defense Minister Valeriy Ivaschenko, former Interior Minister Yuriy Lutsenko and Tymoshenko. The delegation has in particular expressed concern about the considerable delays observed in arranging specialised medical examinations outside the pre-trial detention center.